Whether you're a master fish keeper or have just set up your first tank, the API Freshwater Master Kit contains everything you need to ensure a healthy environment for your aquatic pets. 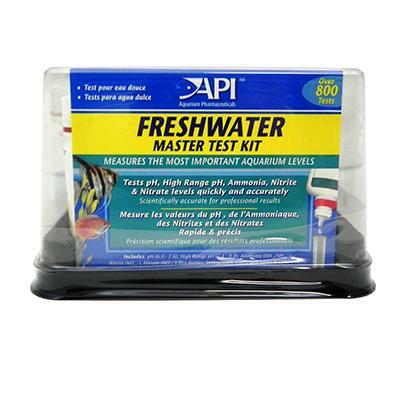 Test for all the important parameters, whether your keeping tetras from the Amazon or cichlids from the rift lakes. Includes pH, High Range pH, Ammonia, Nitrite, and Nitrate. Over 800 total tests, makes a great gift for the beginner and professional alike.